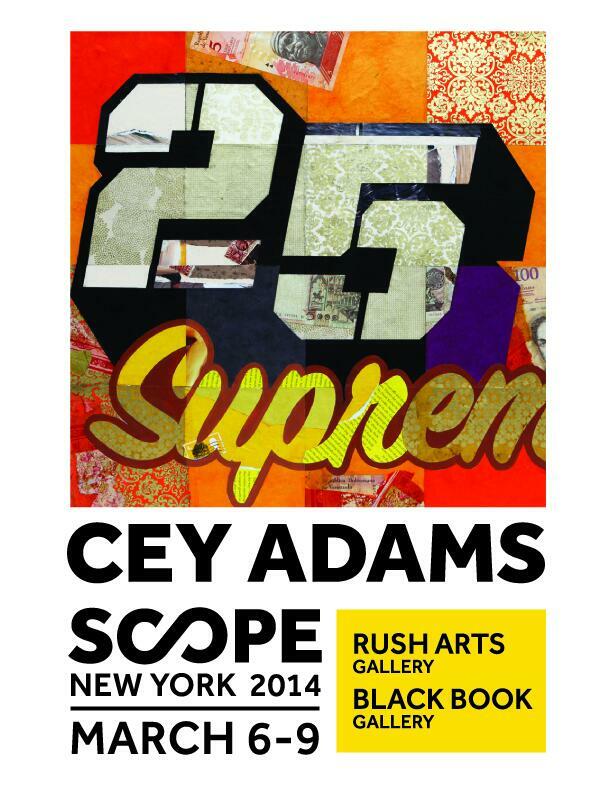 Cey Adams is set to debut new artwork at the SCOPE International Contemporary Art Show in New York from March 6th – 9th, at Booth E17. His new artwork will be shown in collaboration with RushArts Galleryb and Blackbook Gallery. The event will include the artists listed below! Follow the art fair via the #scope2014 hastag.